During a warm, sunny walk around the Calder this Easter, I took this April photograph at the Peth Brae, Barnhill. Pictured on the North, upper side of the brae, about halfway down between the Hoolets Nest Pub and the Niaroo location, is a section of stone wall. Whilst this is not unusual for the Peth (Pech) Brae, as both sides are walled for much of the road, this section is notable. On first appearance, it looks like the rest of the old wall, but this section has been rebuilt and has much more modern roots. Rebuilt recently as part of the Bardykes Community Woodland project, it leads to the created walkways and nature trails through the calder, most of which are also recent additions. I’m posting this as archiving Blantyre’s past needs to also recognise changes and additions to old features. If we don’t tell people how we altered things, for example future generations could be forgiven for thinking this wall is centuries old. 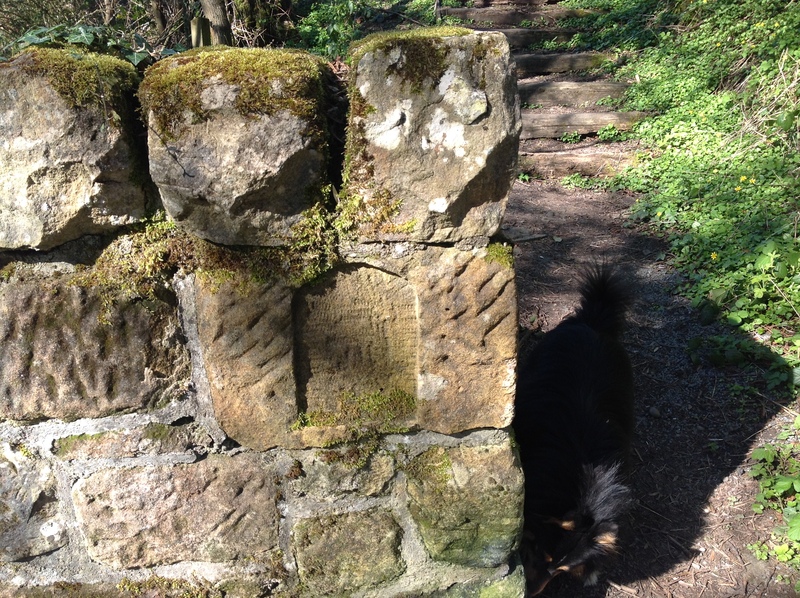 The engraving on the new “old” stone block eludes to the woodland trail and is also not centuries old. The wall itself is built to a fine standard, but no wall was in this location prior to the 1990s. 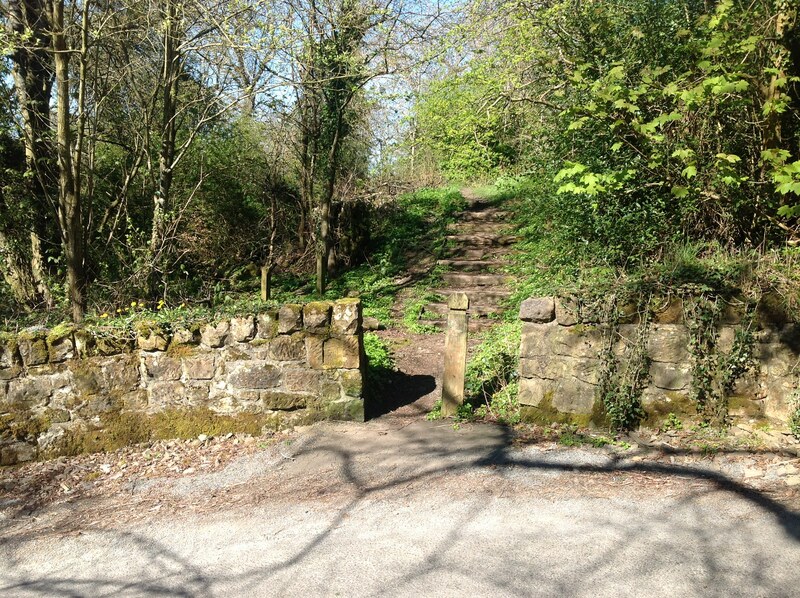 When the wall was built, it stopped much of the fly tipping going on at the end of The Path, a medieval road that led from the ford on the Rotton Calder, and out at the Pech Brae at Pathfoot. Thankfully, many of the old original stone walls are still there on the Pech Brae, an area that goes back certainly to Blantyre’s foundations and birth. This old area is excellent for walking, very scenic and I would encourage everybody to see these nature trails, especially if you have a dog needing walked.